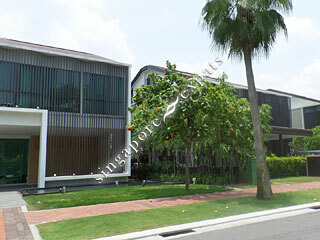 KASARA is located at 35 - 59 OCEAN DRIVE in district 04 (Keppel, Sentosa, Telok Blangah) of Singapore. KASARA is a 99-year Leasehold Landed Estate development consisting of 13 units. KASARA is completed / TOP in 2012 (estimated), developed by LAKEFRONT PTE LTD.
Educational institutions like INSPIRATION DESIGN INTERNATIONAL SCHOOL, ISS HIGH SCHOOL, JEWELLERY DESIGN & MANAGEMENT INTERNATIONAL SCHOOL, CANTONMENT PRIMARY SCHOOL, CHIJ (KELLOCK) and RADIN MAS PRIMARY SCHOOL are near to KASARA. KASARA is accessible via nearby HARBOURFRONT, TANJONG PAGAR and MARINA BAY MRT Stations.